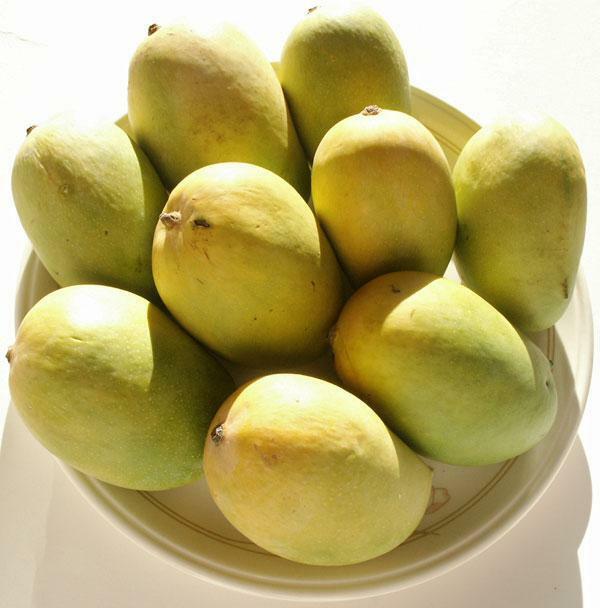 Mango is perhaps the most popular and loved fruits in India. It is also known as the 'king of fruits and fruit for the kings'. This ice-cream is very easy to make and quite delicious. Also see Kulfi 1, Kulfi 2 and Kulfi 3. Sugar to taste, only if using fresh pulp. Tinned mango pulp is very sweet and does not need extra sugar. Whisk egg white until it stands in peaks. Keep aside. Whisk everything else together with an electric beater. Freeze in an ice-cream maker or in a plastic tub in your freezer. Take out of the freezer for 10 minutes before serving. This will soften it up. For a sugar free version, use fresh fruit only and use sweetener instead of sugar. Remember that mangoes are high in their sugar content.